What’s our goal for this time of year? Be more outdoorsy! However, not just your usual outdoor thing… we want lounge-worthy time spent chilling in our back gardens under the sun and stars. Whether you have a large back garden, a courtyard or a small balcony, we have the tips to bring style and function to your outdoor area. 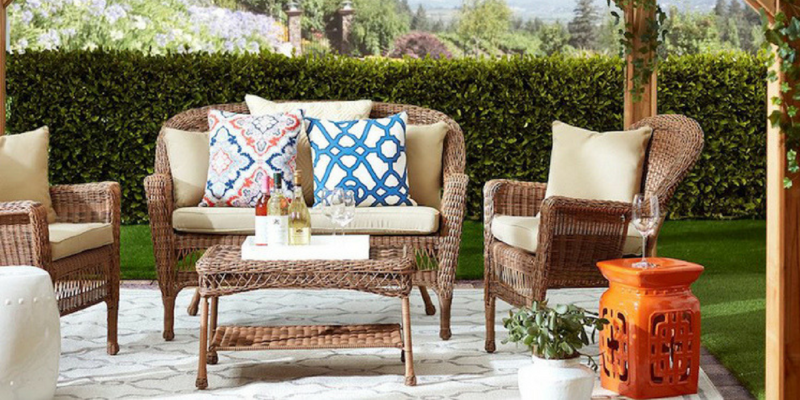 Enjoy one of life’s simple pleasures and make the most of outdoor living this season with these fantastic ideas! If you’d like to use your space to dine outside, a table and chairs is a must. You can find tables that sit 2, 4, 6 right up to 12 people, and extendable tables are a great idea if you’re short on space but love to entertain larger groups. On the other hand, if relaxing is the name of the game, perhaps a more informal seating arrangement is the way to go? 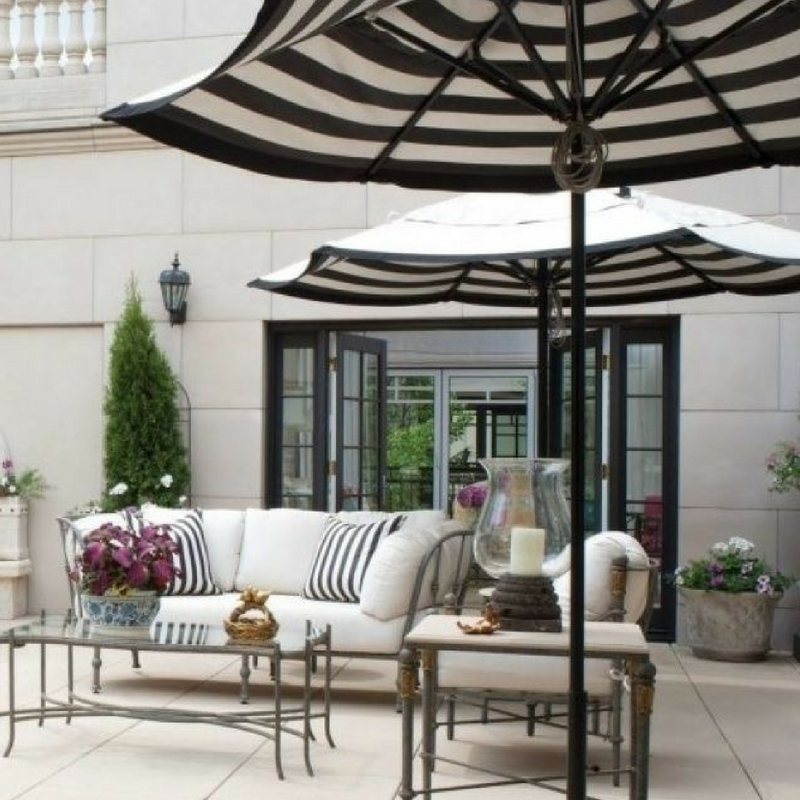 There’s a move towards creating outdoor living rooms and you can achieve this with lounging furniture. Multifunctional furniture, such as a bench seat that can also double as a storage unit or even as a coffee table, is a clever choice – particularly if space or budget is limited. As seen above: 1. Wilko Round Patio Set Black 6pc £60. 2. 7 Seater Rattan Garden Sofa Set £525. 3. Wilko Rattan Effect Garden Day Bed £300. 4. Wilko Garden Snuggle Egg Chair Rattan Effect £225. 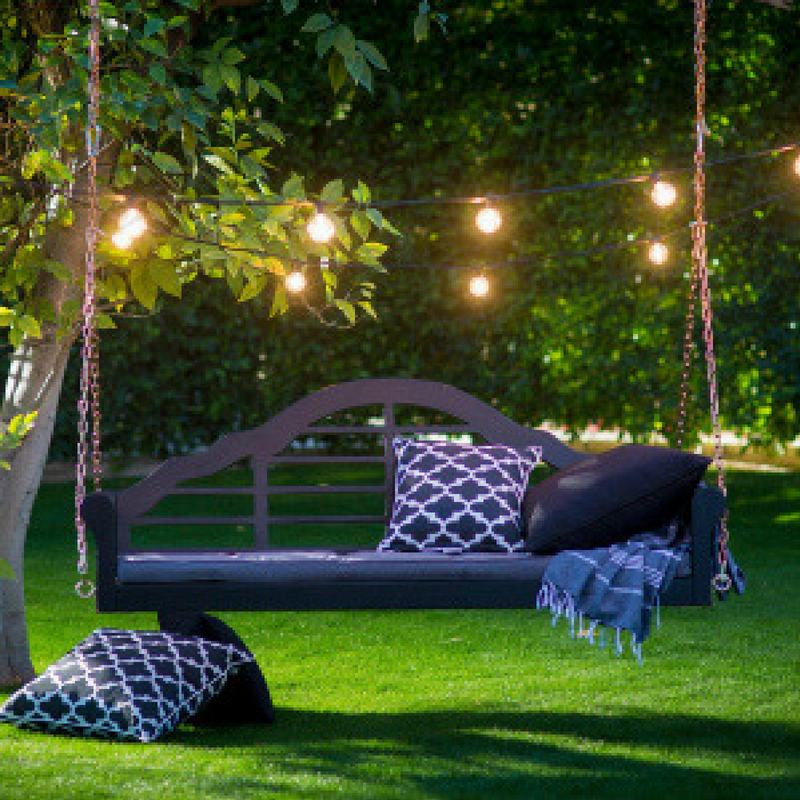 Another functional consideration of your outdoor space (then we’ll get onto the fun stuff, promise!) is shade cover. Sometimes it’s simply not possible to use or enjoy an outdoor area unless it’s undercover or you use a shade, such as a gazebo or an umbrella. 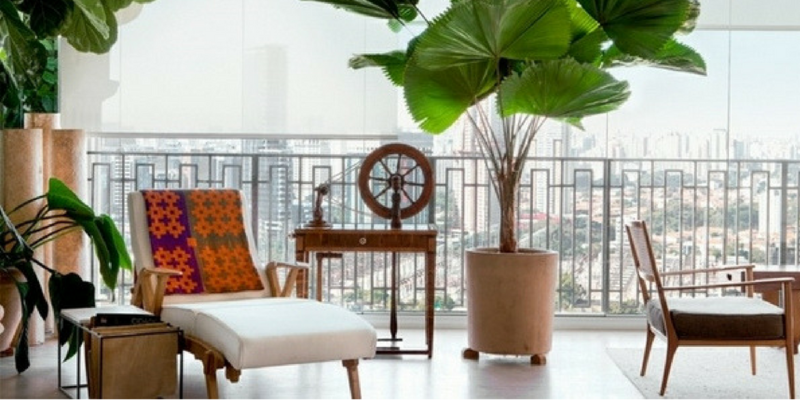 If you live in an apartment and have a balcony that is undercover but is still exposed to direct sun, a simple addition like an umbrella may be the solution you’ve been looking for. It can be placed flat against a wall or attached to a balcony rail to offer much-needed shade. If you have a larger area to work with, a stylish gazebo can bring those holiday vibes to your own back garden while also blocking out 98% of ultraviolet radiation. Of course, no outdoor space is complete without a big dose of greenery! When it comes to selecting plants for your outdoor space, start by doing a little research. Will they be in direct sunlight or mostly in shade, and what’s the climate in your city? 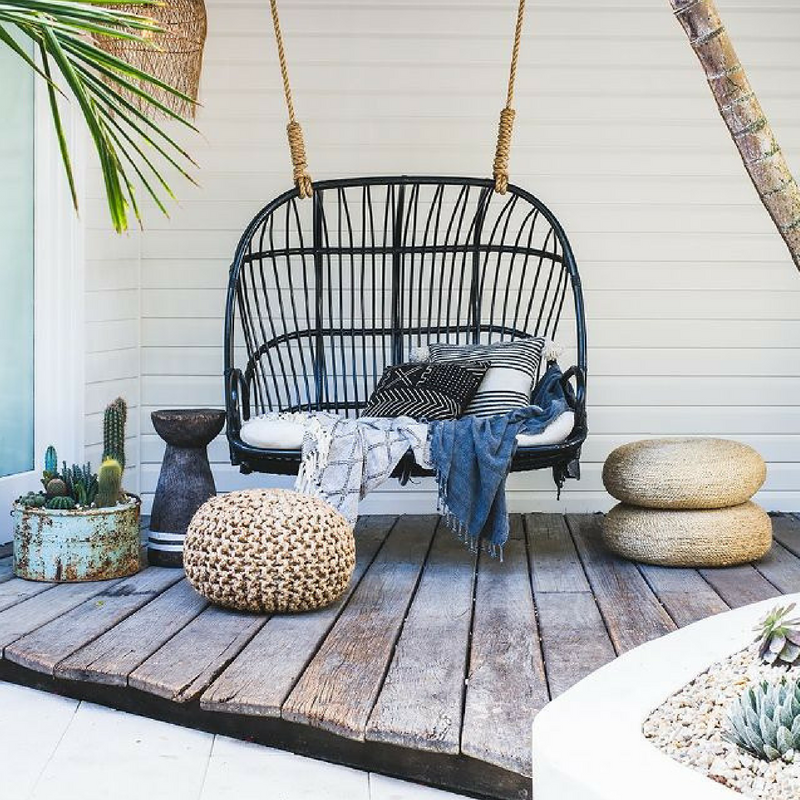 Also, consider the style you want to create – hanging plants are an ideal choice for botanical vibes whereas cacti in a mix of vessels play to the eclectic style. Pinterest is a fab source of plant inspiration and a great starting point for your research. If you have a black thumb or simply don’t have the time to keep real plants alive, there is a great range of faux plants now available. From larger trees to smaller succulents in pots, you’ll be able to find artificial plants that create the same visual impact as the real thing. 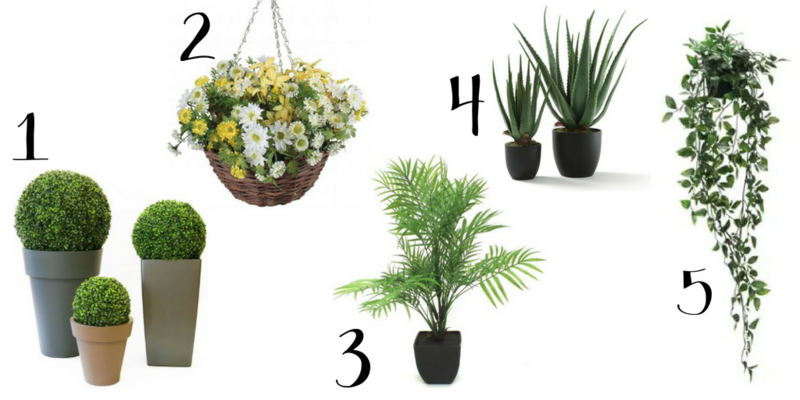 You are bound to find a huge range of artificial plants in most shops. Leverage your outdoor garden with a cool container or three. Finding the right colour, texture and finish can really elevate your overall look. Playing with contrasting shapes and hues is encouraged but try to find a motif that is carried throughout the set. Try clustering them together to create a “wall” of greenery. As seen above: 1. Artificial Boxwood Bowl £17.95. 2. Daisy Hanging Basket £24.99. 3. Artificial Mountain Palm £10.95. 4. Canary Large Artificial Aloe Vera Plant £140. 5. Artificial Potted Plant £6. Solar-powered lights can light up pathways to make navigating your outdoor space easier without the need to run cables to a power source and are better for the environment too. We love floor lamps that provide beautiful lighting to decks and garden beds. 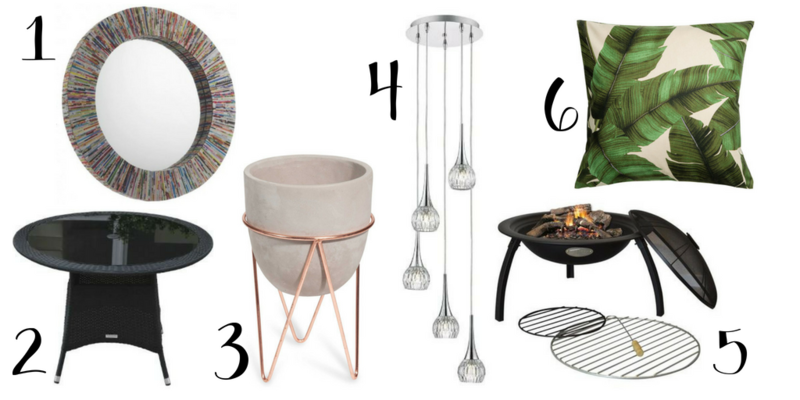 One of the most fun steps to creating an outdoor space is styling! 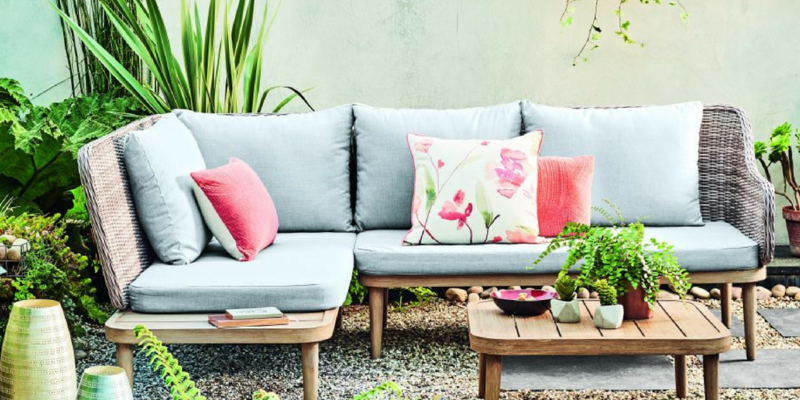 There are so many ways to bring your style to your outdoor space – from colourful pots to bright cushions, table top décor or even artwork. As seen above: 1. Multi-Coloured Recycled Magazine Round Wall Mirror £60. 2. Small Round Rattan Garden Dining Table £199. 3. Wrought Iron and Cement Footed Planter £21.59. 4. Ceiling Light £73. 5. Harbour Housewares Fire Pit £34.99. 6. Print Motif Cushion Cover £8.99. When you’re outdoors for several hours, it’s important to keep your guests hydrated and comfortable. 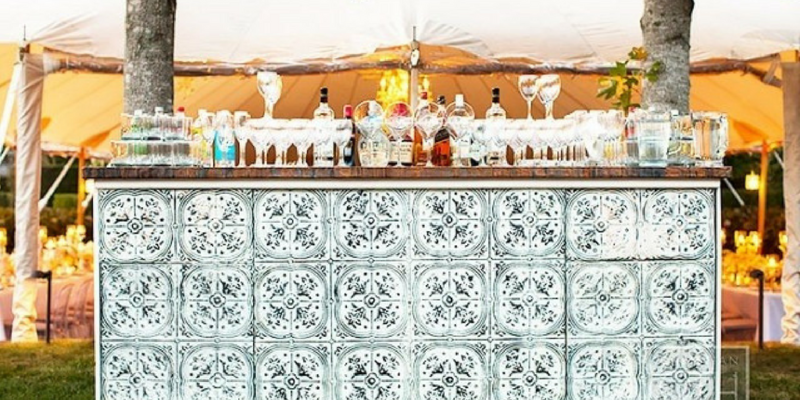 A serving station will give you one less thing to worry about and make it easy for your guests to top up their glasses. It can be as simple as a few buckets of ice for bottles or a jug of water waiting at the table. To add an extra stylish touch, prepare a colourful garnish to complement it, such as a sprig of mint or a slice of lemon. This is where we love to add colour and design. 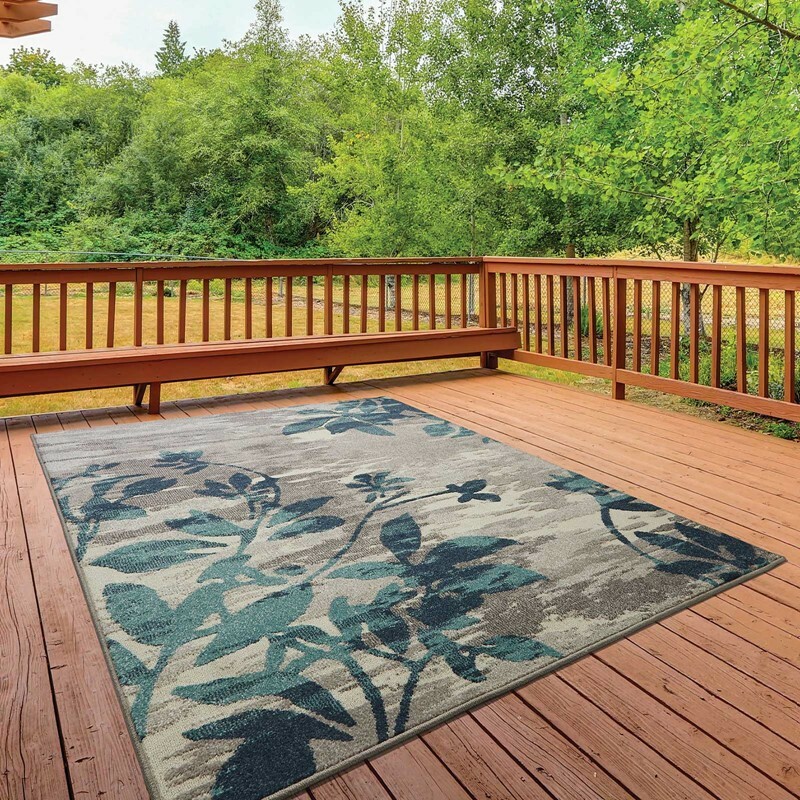 You might be thinking, why do we need an outdoor rug? Rugs will tie the space together, giving the space a purpose and a place, you will feel like gathering. 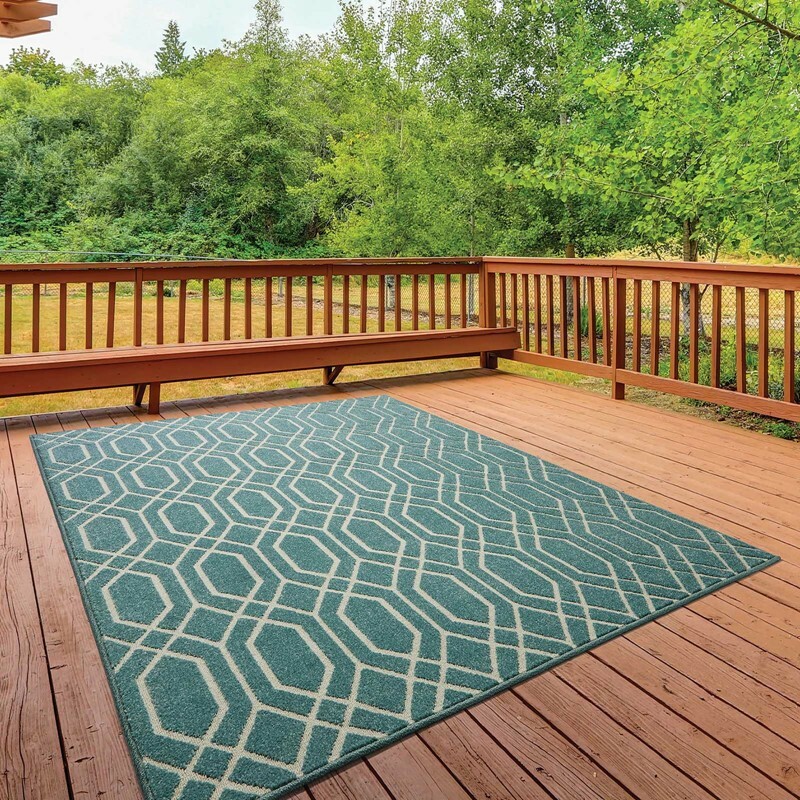 Nothing brings the comfort of the indoors out more than a plush, patterned area rug. We are partial to outdoor rugs that borrow from colours found in nature, but with a titch more vibrancy. 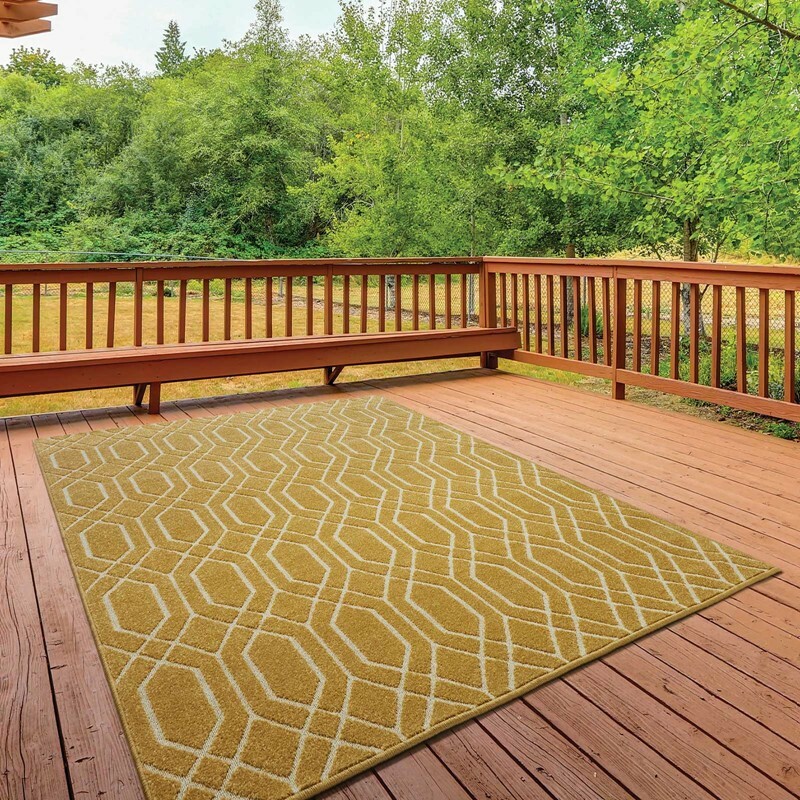 We’re also a lot of textured deeper-pile rugs that are unexpected (in a fun way) in an outdoor setting. 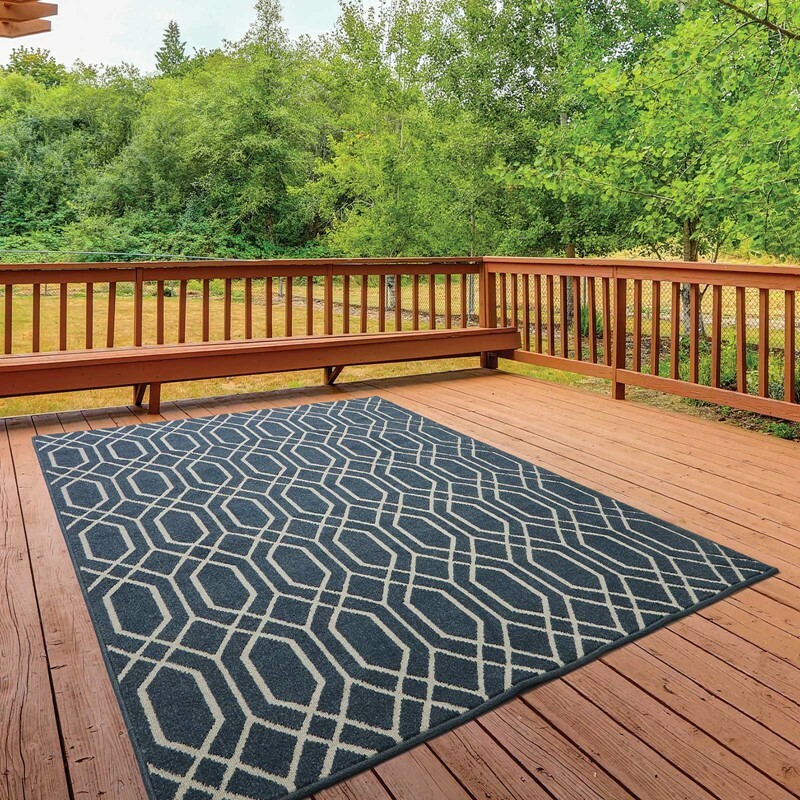 Outdoor rugs are extremely versatile and multifunctional: their colourful accents bring about a refreshing variation while their flat pile creates domestic comfort. 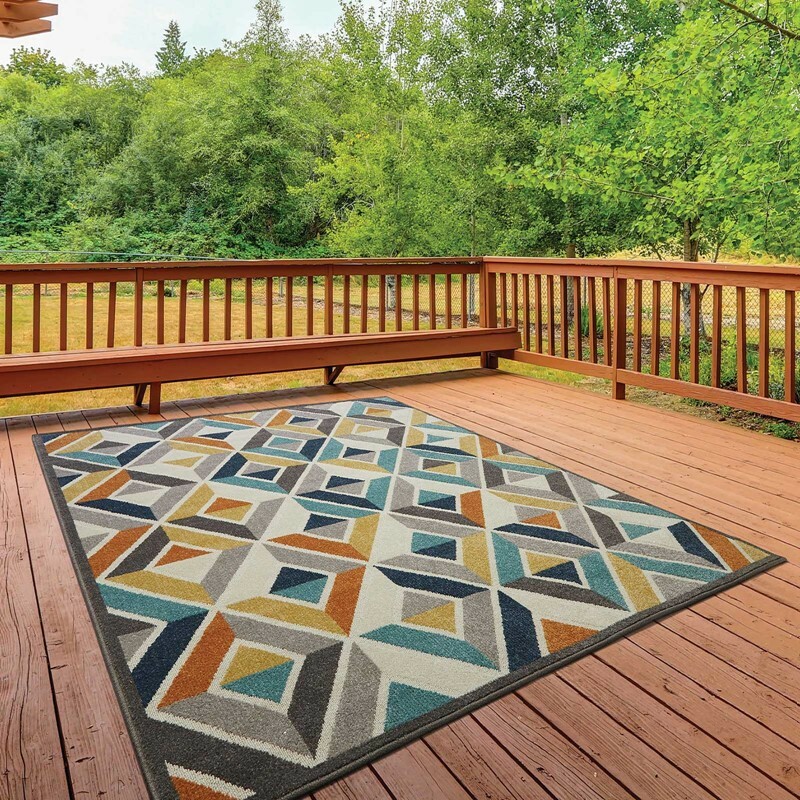 Outdoor rugs are beautiful eye catchers and an absolute must-have for the gardening season and outdoor barbecues. Discover our Outdoor Rugs, which are the perfect way to add a pop of colour to your garden! Suitable for all budget ranges. See more here. As seen above: 1. Havana Rugs £54.99 in Grey Blue. 2. Havana Rugs £54.99 in Yellow. 3. Havana Rugs £54.99 in Blue. 4. Havana Rugs £54.99 in Multicoloured. 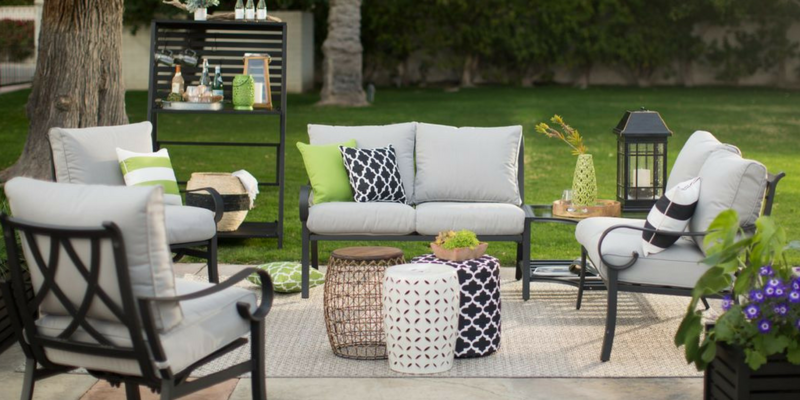 We hope that you’ve been able to create the perfect outdoor space for your home. 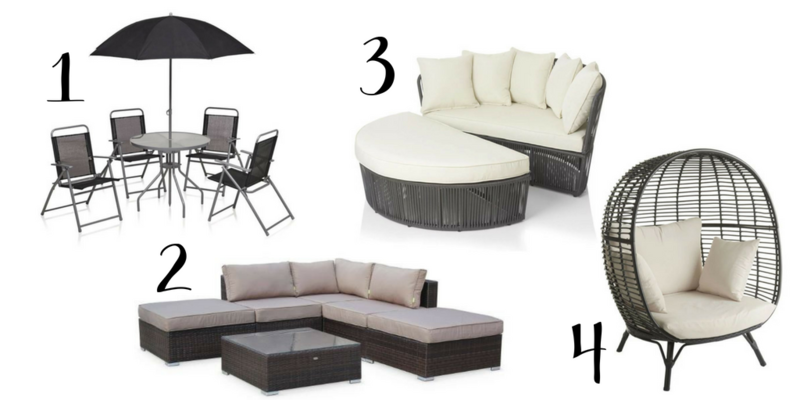 Do you have more tips you could share on how to create a stylish and functional outdoor space? We’d love you to share your ideas in the comments below!